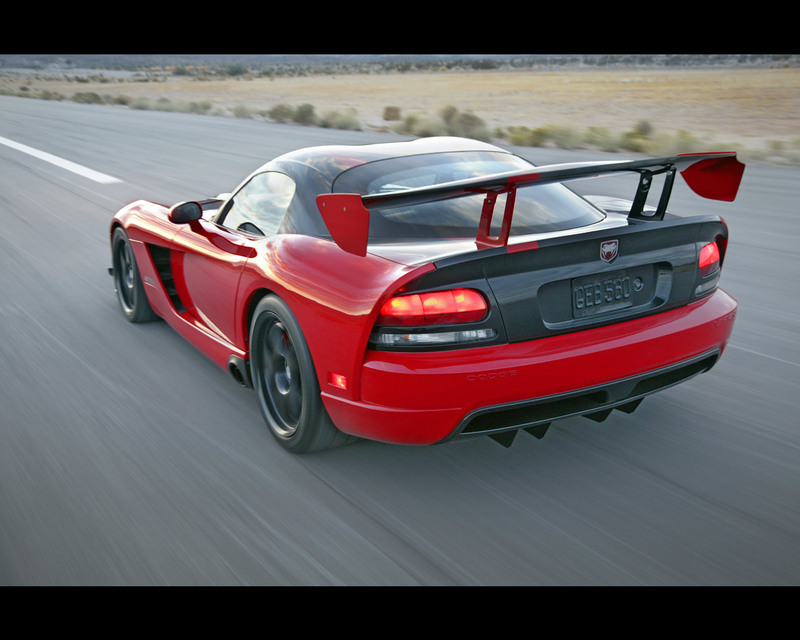 Talking about the Dodge Viper SRT10, Kipp Owen, Director of Street and Racing Technology (SRT) Engineering, Chrysler Group said : "A legendary big-game hunter once said, 'Bring enough gun' - and with the new 2008 Dodge Viper SRT10, we have created some very powerful artillery for sports car enthusiasts. 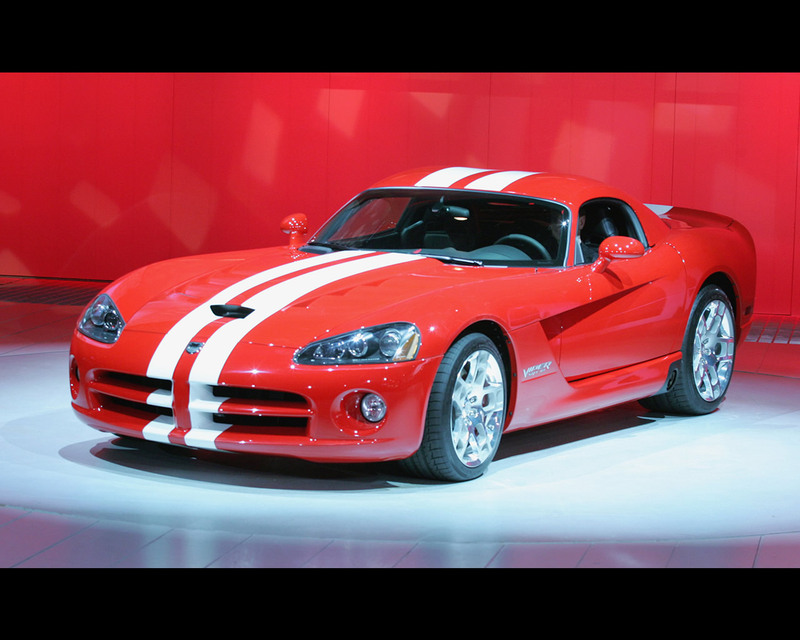 With 600 horsepower - 90 more than before - and 0 to 60 mph performance in less than four seconds, the 2008 Dodge Viper SRT10 sets a new benchmark for the ultimate American sports car." 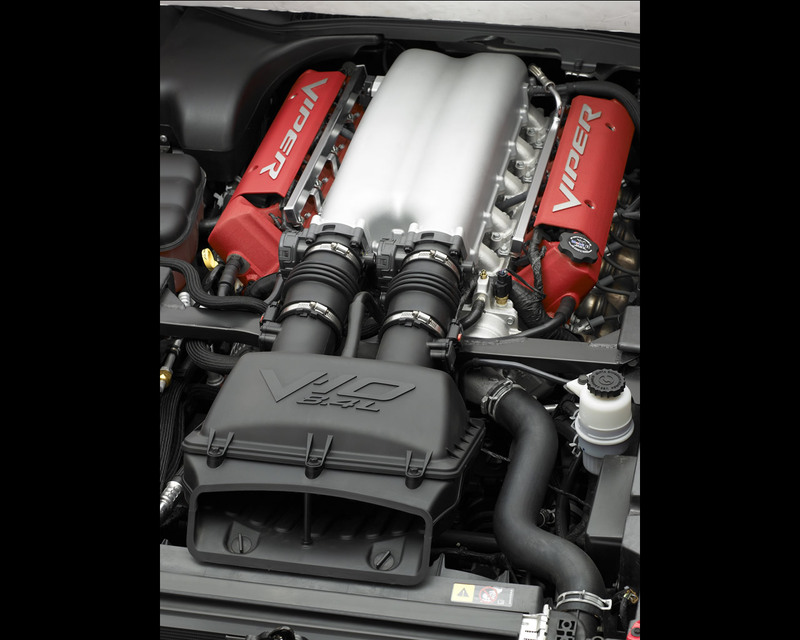 When SRT powertrain engineers set out to get more power from the 2008 Dodge Viper SRT10's powerplant, their objectives included not only increasing performance, but also complying with stringent regulatory requirements. Working with specialists from McLaren Performance Technologies and Ricardo Inc., SRT engineers began by following the racer's basic formula for more power: bigger displacement, more efficient breathing and higher engine speed. 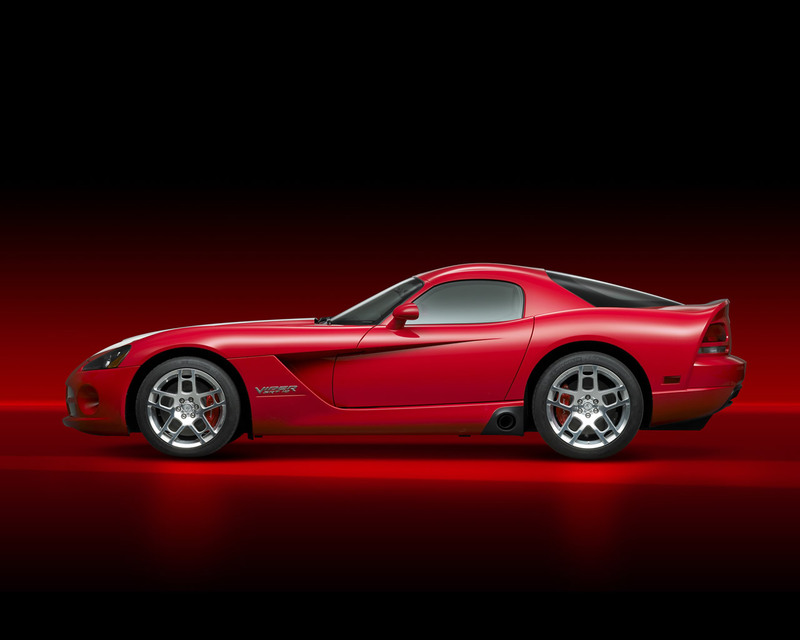 The new Dodge Viper SR10's deep skirted V10 aluminum engine block was revised for a 1 millimeter larger bore, raising the displacement to 8,4 liters from 8,3 liters. With strengthened bulkheads and improved water jacket for better cooling, the block includes pressed-in iron cylinder liners and cross-bolted main bearing caps for strength and durability. 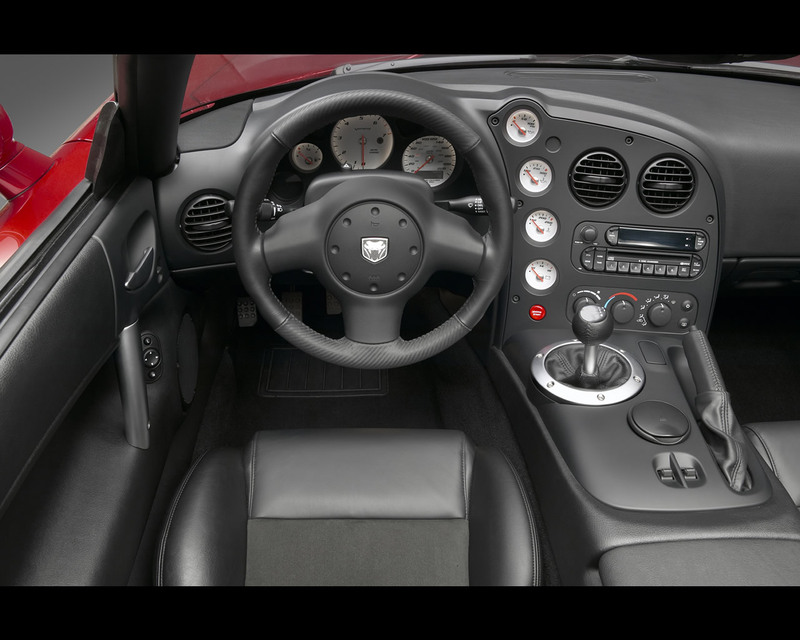 The 2008 Dodge Viper SRT10's 8,4 liter engine breathes through new cylinder heads equipped with Computer Numerically Controlled (CNC)-shaped combustion chambers, larger valves and Variable Valve Timing (VVT). VVT electronically adjusts when the exhaust valves are open and closed according to engine speed and load, allowing the engine to "breathe" cleaner and more efficiently. 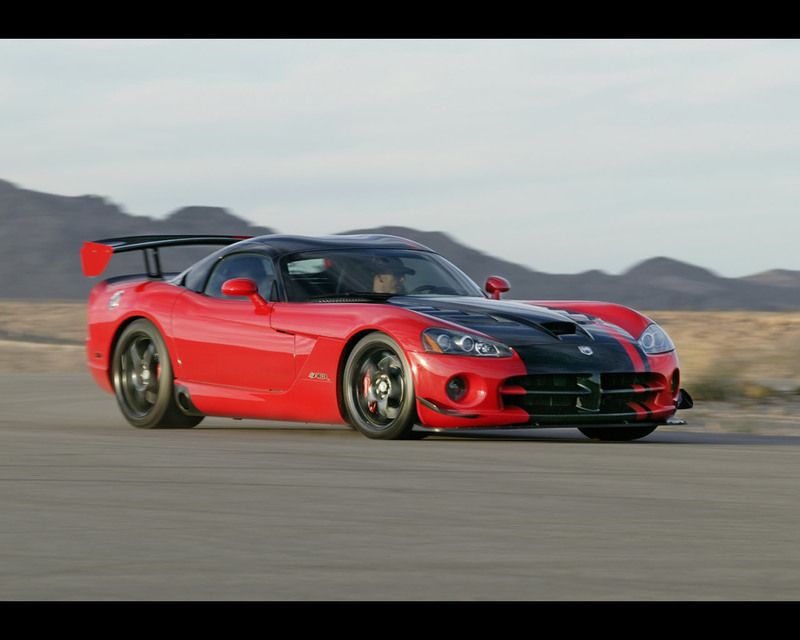 The 2008 Dodge Viper SRT10's V10 channels its power through a new, smaller-diameter, twin disc clutch. The new clutch reduces rotating inertia by 18 percent, resulting in reduced clutch-pedal effort and improved engagement feel. 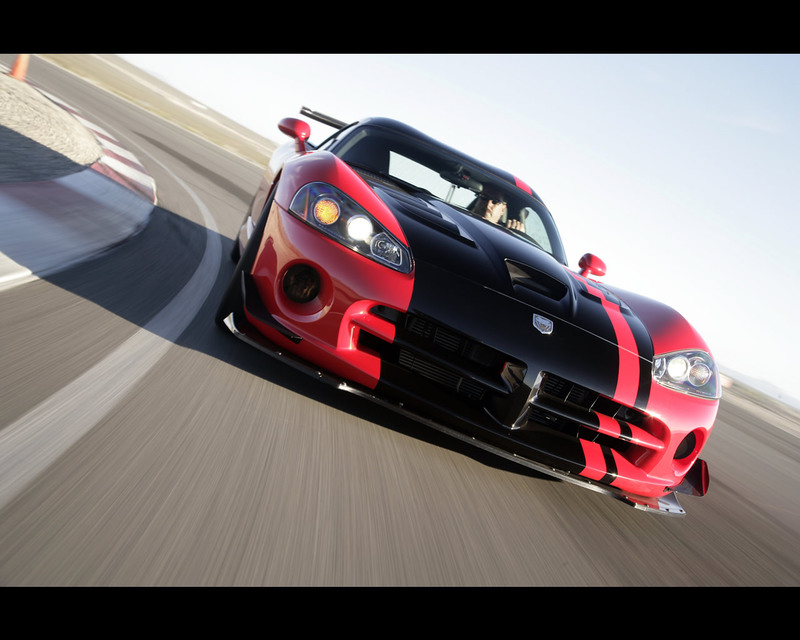 Stopping power is another key attribute of the Dodge Viper SRT10 formula, with 14-inch brake rotors gripped by Brembo 44/40 dual opposing piston calipers in the front and Brembo 42/38 dual opposing calipers on the rear. An anti-lock braking system (ABS) prevents lockup during hard braking. This system results in a benchmark braking performance of 60-to-0 mph in less than 100 feet. 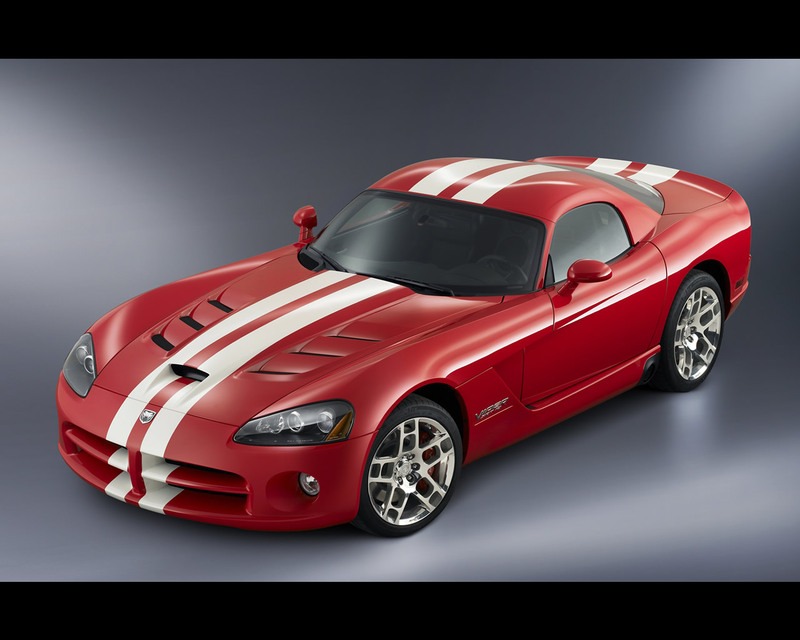 The 2008 Dodge Viper SRT10 remains available in two body styles- Roadster and Coupe. 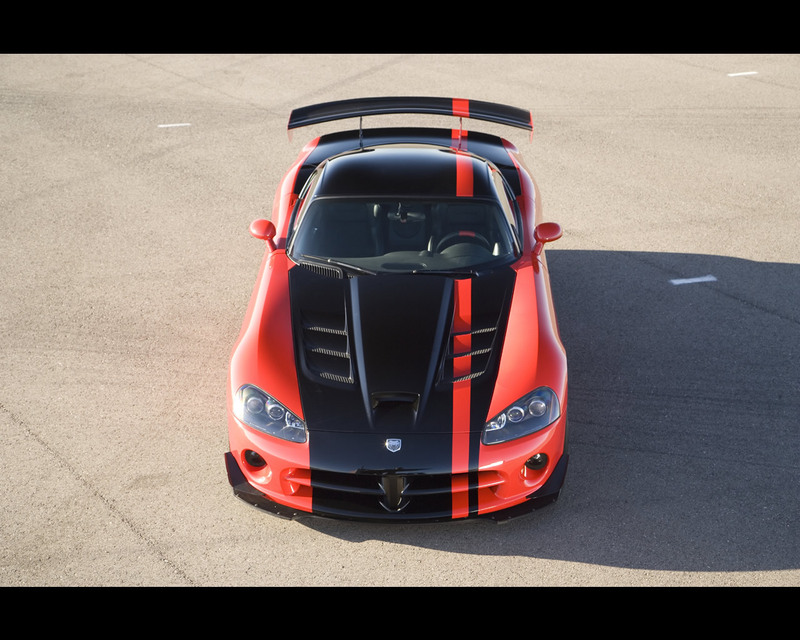 Both feature a dramatic new hood with larger, more efficient hood scoop for air induction and larger, functional hood louvers to facilitate a greater cooling effect for the more powerful 8,4 liter, 600 horsepower V10 engine underneath. 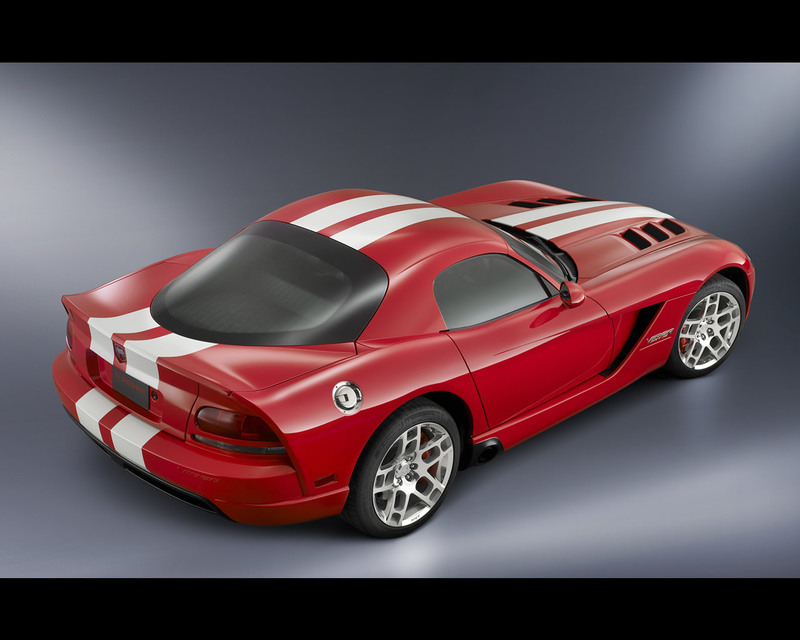 The Dodge Viper SRT10 Coupe's hard top with its "double-bubble" styling makes it even more torsionally stiff than the Roadster. 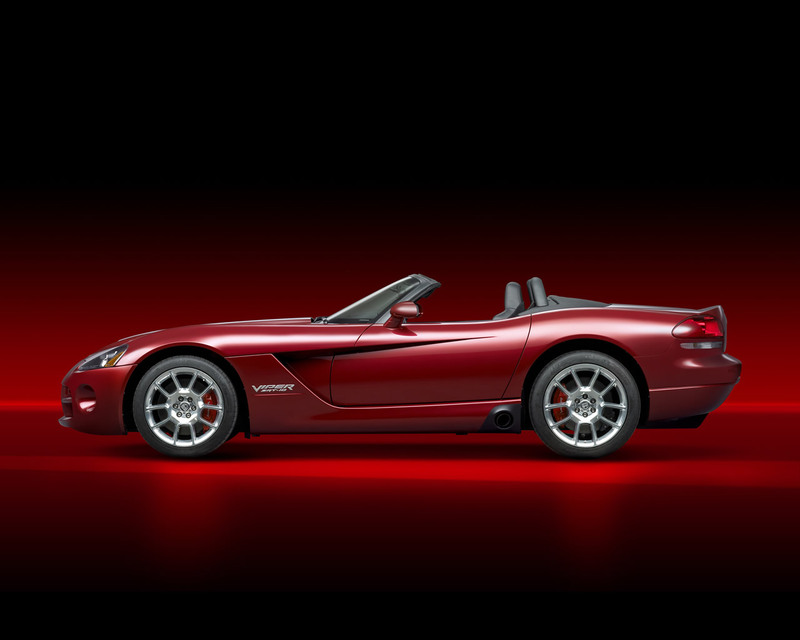 The 2008 Dodge Viper SRT10 Coupe offers increased downforce and high-speed stability with its sloping roofline and deck-lid spoiler. 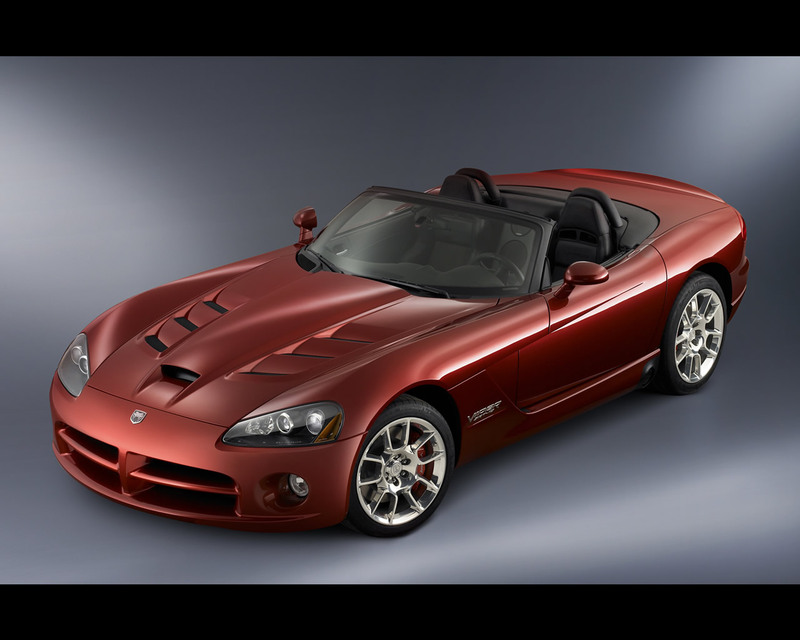 Specifications: Engine 10-cylinder, 90-degree V-type, liquid-cooled, 8,4 liter (510 cu.in. ), compression ratio 10,2:1, 600 bhp (450 kW) at 5.000 rpm, 560 lb.-ft. (760 Nm) at 5.000 rpm; Transmission manual six-speed overdrive, frame-mounted hypoid bevel gear with GKN Visco Lok speed-sensing limited slip differential.